Many Paris restaurants allow online booking on the TripAdvisor-owned website (and app) The Fork, and not infrequently substantial discounts will be offered there. 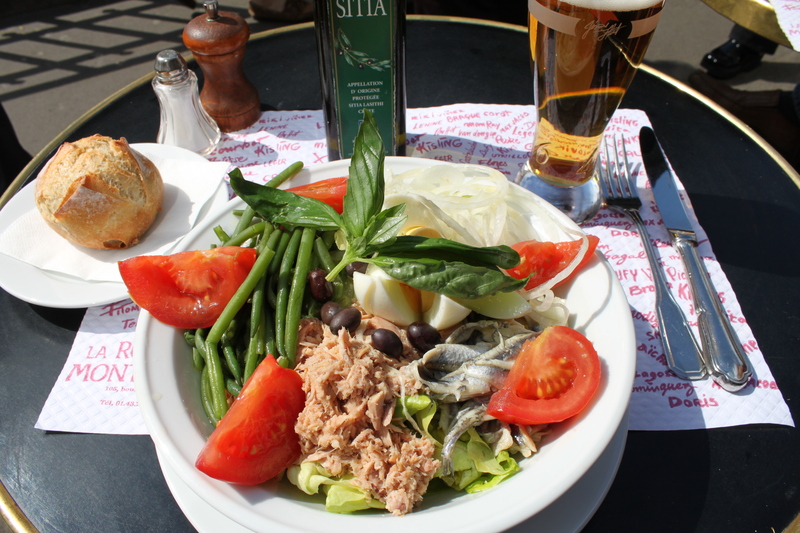 Niçoise salad at La Rotonde, 105, Bvd du Montparnasse. Dinner at gay-friendly Lézard Café, rue Tiquetonne, 2ème. Sadly, Le Loup Blanc closed in 2014. I particularly liked a neighborhood place near Arts et Metiers, l’Absinthe Café. The food is ordinary but the atmosphere feels very authentic. Update 2014: I was shocked to see an English menu including touristy items. I didn’t eat there but I’m afraid it may have gone over to the dark side. 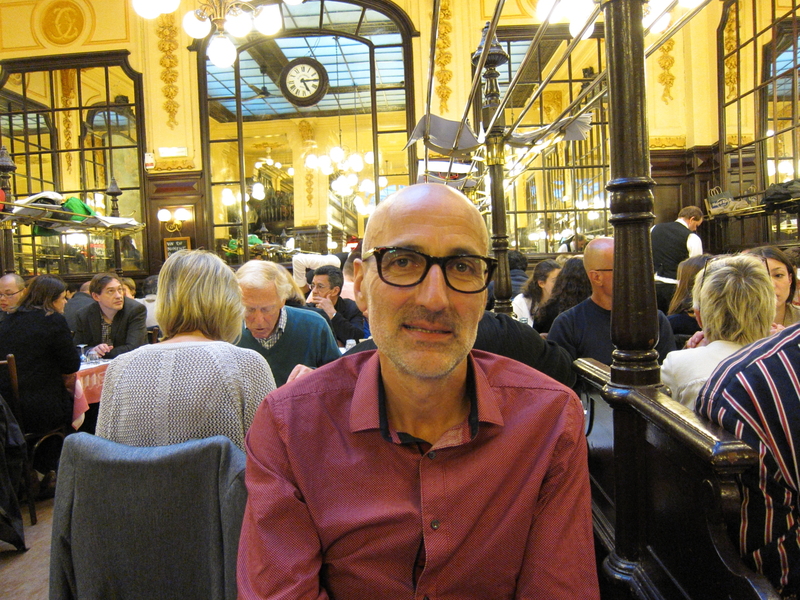 I loved Café de l’Industrie, near Bastille. Good food, charming atmosphere and Cambridge-y staff. 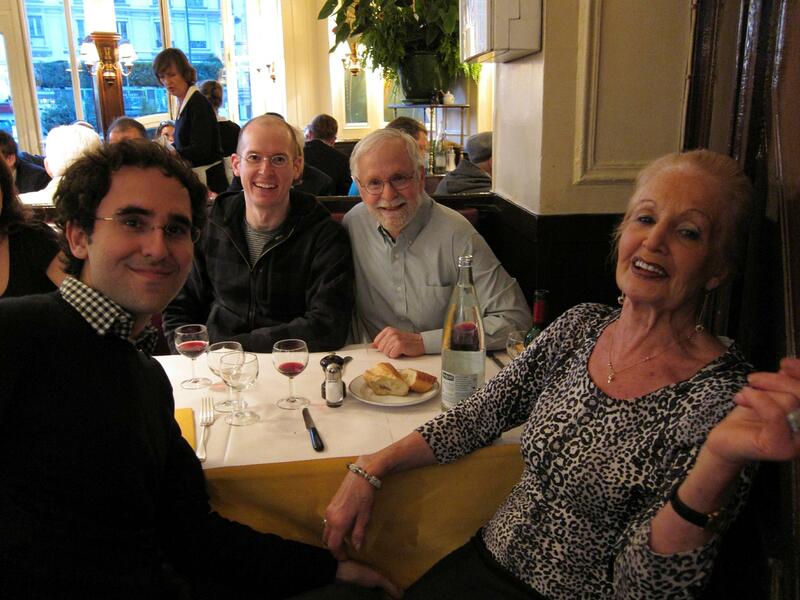 Alexis, Lisa, Julien and Colt after brunch at Café l’Industrie, Bastille. Dinner at either of two places in the Marais will offer a très-gai clientele and ok food at reasonable prices: Ze Restoo or Le Gai Moulin. This restaurant in the Marais is a bit more expensive but probably worth it: La Chaise au Plafond. Same kitchen and menu as the pricier Les Philosophes next door. An authentic Breton meal of of gallette (salty) and crêpe (sweet) can be had for peanuts at La Crêperie de Bretonne on rue de Montparnasse. 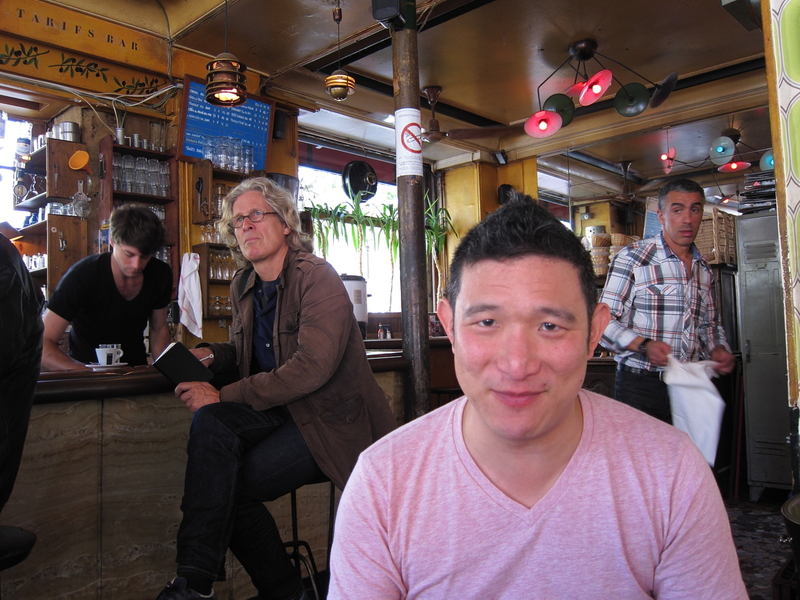 I also enjoyed the more expensive Breizh Café with Zhizhong in the Marais in 2014. 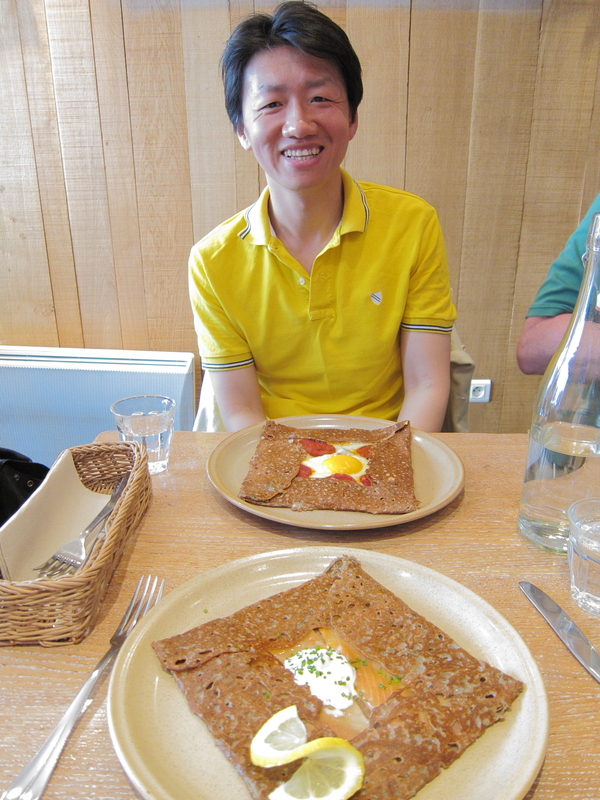 Zhizhong with our galettes at Breizh Café in the 3e. Bouillon Chartier is a restaurant whose stated aim is “to satisfy the belly without hurting the wallet.” You’ll be seated with other patrons if it’s busy, and I’ve gotten into some interesting conversations there. Beyond touristy, but also strikingly authentic, is an old restaurant deep in the Marché aux Puces, Chez Louisette. The food is unpretentious and our waiter was downright surly. But the ambiance is gemütlichkeit, evocative of a riverfront guinguette, with a two-man band and a series of quite-good singers belting out French classics. If you feel like spending a bit more — but not insanely much — here are a few fancier options. 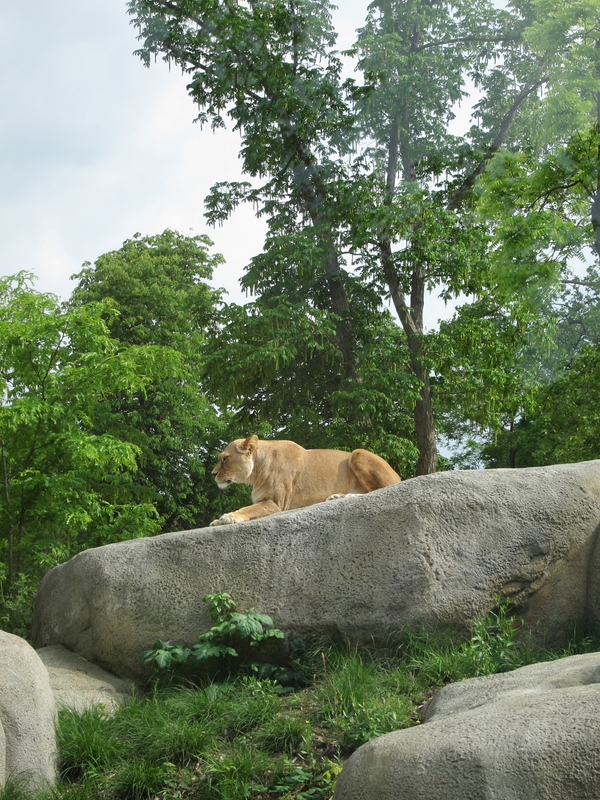 You will find more tourists here, but they are busy for a reason. Dinner at Aux Trois Petits Cochons (The Three Little Pigs), formerly on rue Tiquetonne in the 2ème, has now reopened near métro Abbesses in Montmartre. I had a good (if not great) meal in the new location and it gets nice reviews. Steak, any time of day, at Le Relais de Venise – L’Entrecôte at Porte Maillot. 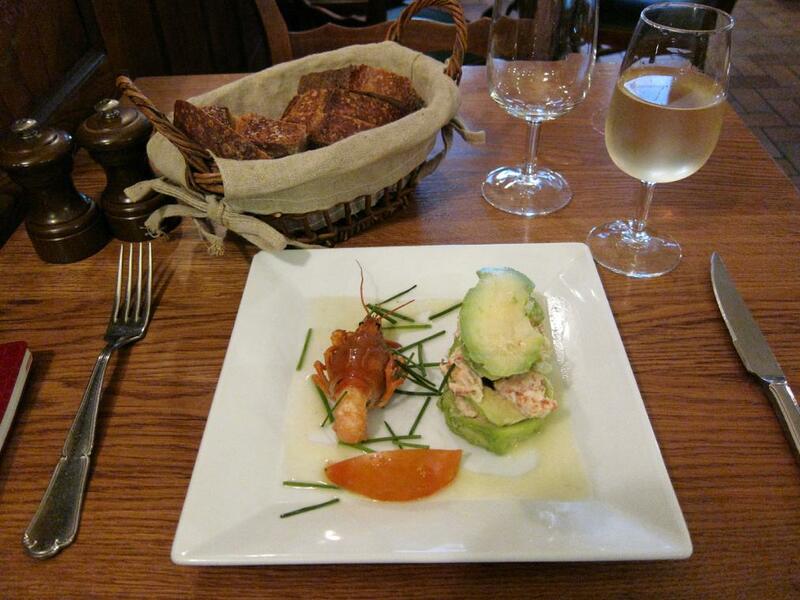 Le Marsangy was a charming neighborhood restaurant on Avenue Parmentier serving traditional cuisine. The service was impeccable: I had the impression that the entire operation was composed of the chef and the waiter, and that they had been doing this for a long, long time. 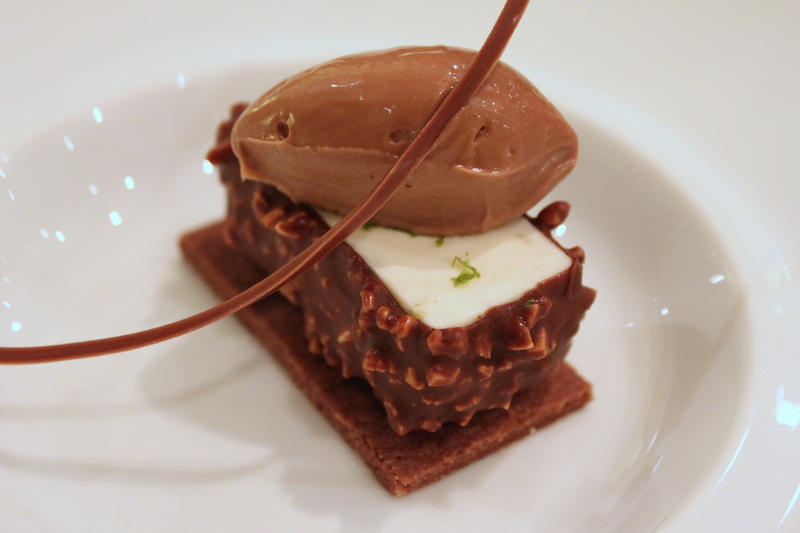 I will not soon forget the millefeuille d’avocat aux écrevisses (photo). Unfortunately, it was sold in 2014 and under the new management it is no longer recommended. 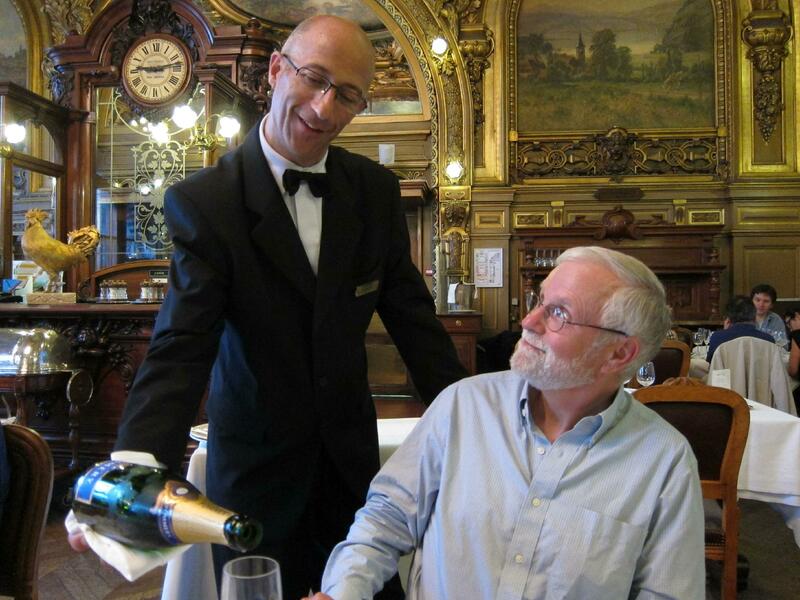 One of the marvelous restaurants that my friend Jacques introduced me is Brasserie Julien, in the 10ème just beyond Porte Saint-Martin. The room alone is worth the price! Mariage Frères in the Marais is 100% touristy, but also absolutely wonderful. 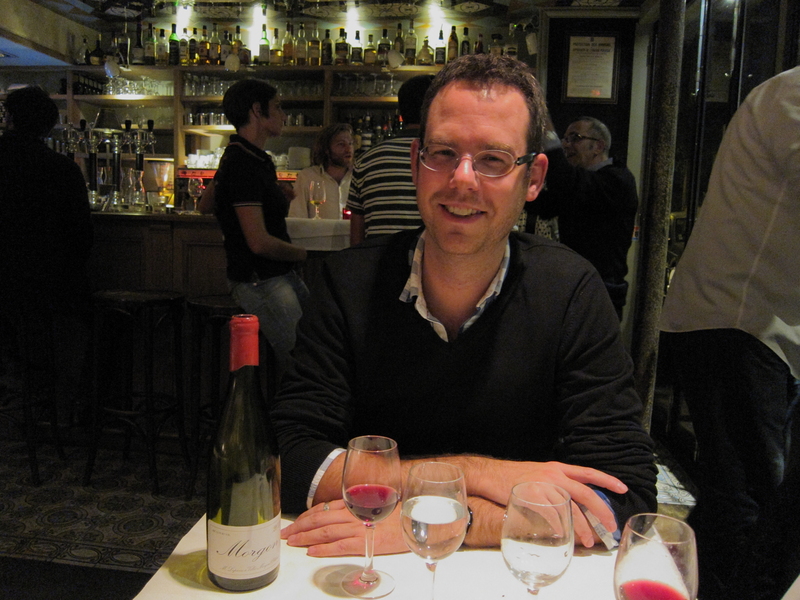 Alexis introduced me to a good Provençal restaurant, Le Petit Niçois, in the 7ème (though on a subsequent visit in 2014 it was filled with tourists and the food seemed less distinctive), and to trendy Les Enfants Perdus in the 10ème, near Canal Saint-Martin. 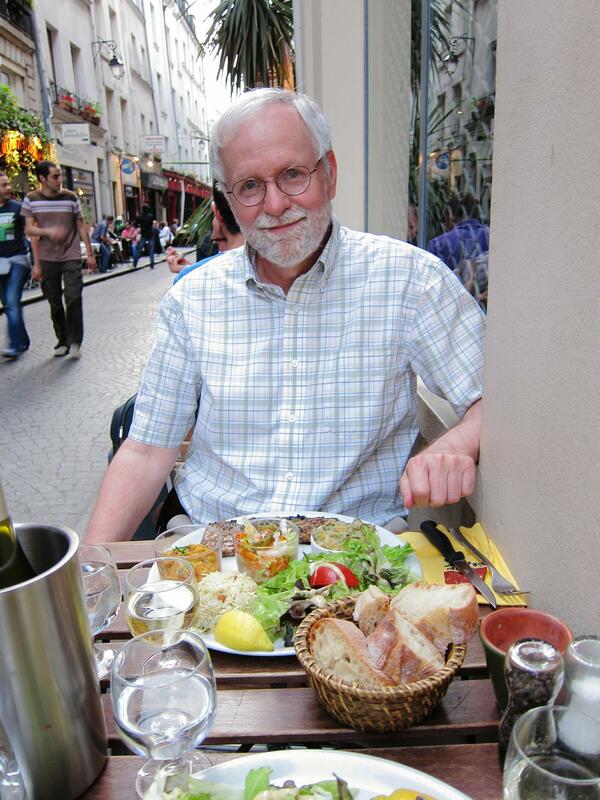 I had some fine meals in prior years at Le Pré Verre in the Latin Quarter. 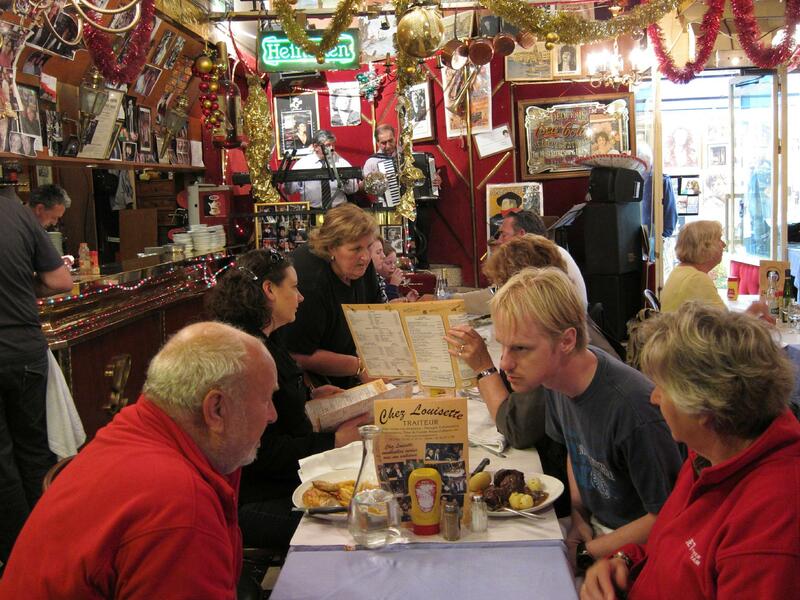 Update: In 2012 found the service brusque and sloppy, and it seemed that all the other diners had been referred by the Rough Guide (as I had been initially). Off my list. 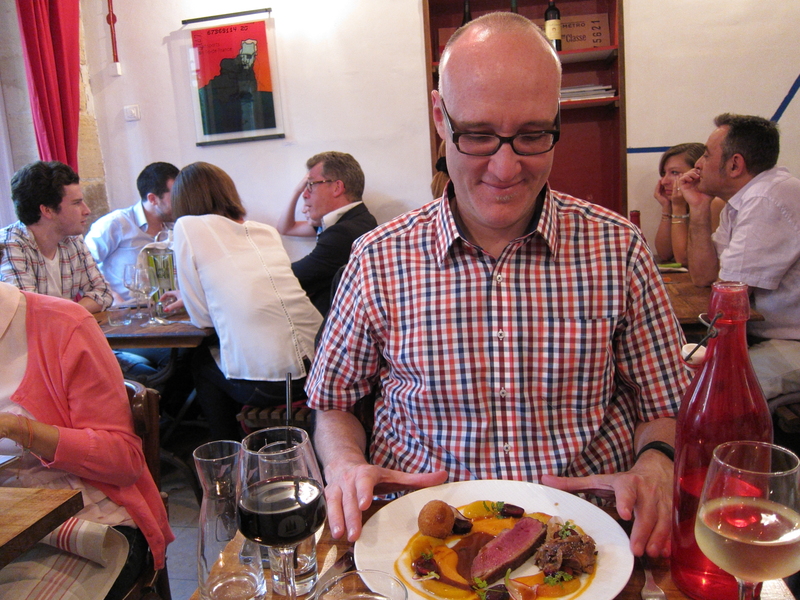 Jason and I had dinner in 2014 at Pramil, a restaurant in the Haut Marais that I found in the Michelin guide. 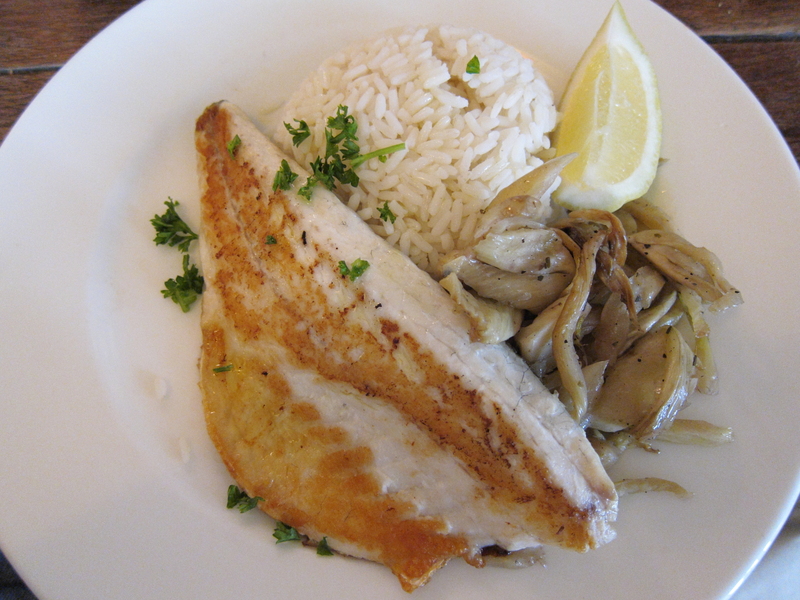 The menu was terrific and we thought the food was excellent, and good value for money. The only odd thing is that all the other diners were rich American tourists. If strings of pearls don’t bother you, then you should give Pramil a try. 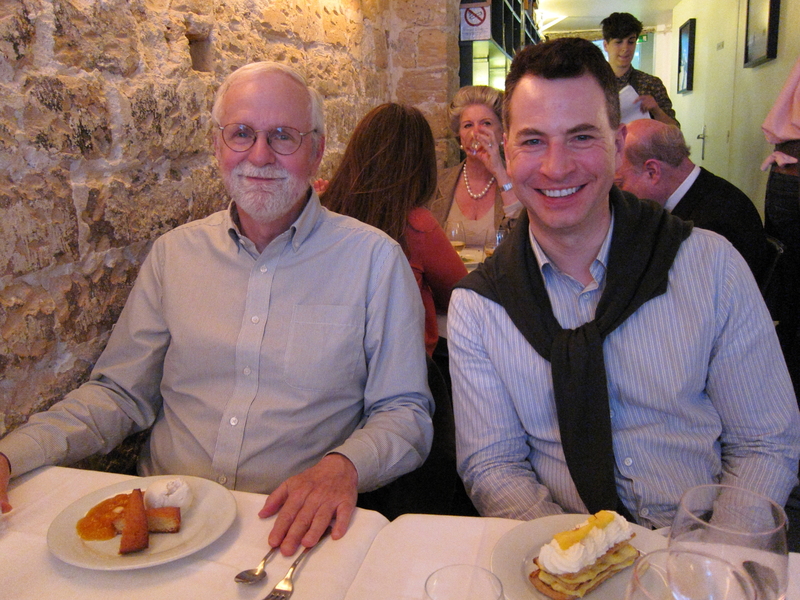 Bob and Jason at Pramil, in the Haut Marais. 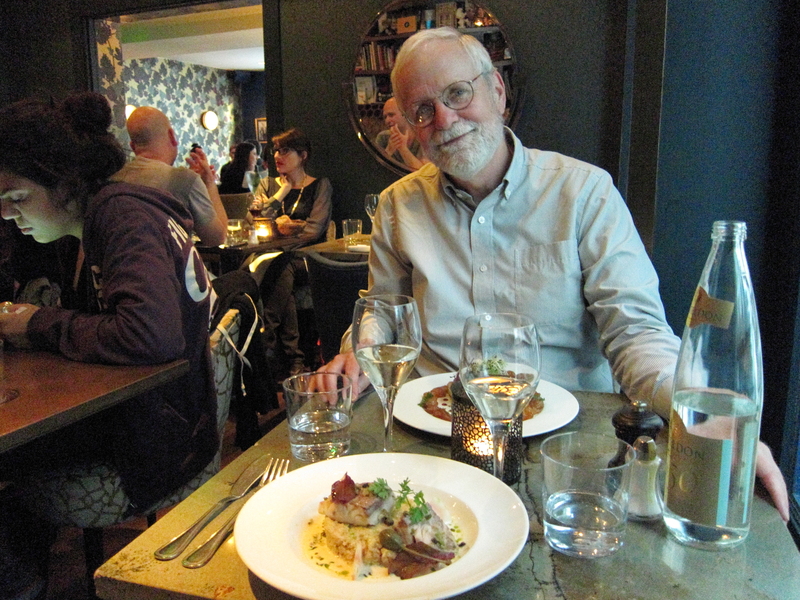 Jaime and I enjoyed a dinner in 2014 at Métropolitan, in Saint-Paul. We had no reservations so we ate under a strict time limit, but nevertheless really enjoyed ourselves. Jaime with his main course at Métropolitan, amidst an agreeable group of diners. 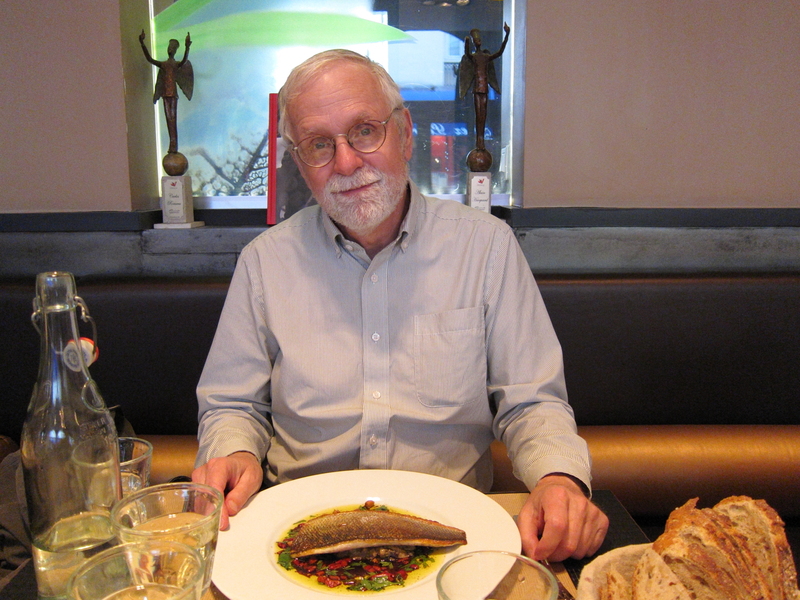 I had a terrific meal with Jacques at Pamela Popo on rue François Miron in Saint-Paul in 2014. Food, service and ambiance were all excellent. Not cheap, but worth it. Bob with the main course at Pamela Popo. Both 2010 and 2011 I had lunch with friends at the Michelin one-star Restaurant Hélène Darroze. The food in both cases was truly spectacular. Our waiter was the same both times and he was superb. I had an odd feeling in 2011 that the assisting waiters were a bit abrupt, even surly. Taka and I ate dinner there in 2015 with his partner. I had booked a 65 euro prix fixe menu for the less-expensive downstairs dining room but it was full so we were bumped upstairs, for the same price! The entire experience there was wonderful — ambiance, food and service — right up to the end when there was a long wait for our dessert and again for our check. I’m sorry not to be able to give an unqualified recommendation, since the food itself was wonderful. One of the two fabulous desserts. Milky Jivara chocolate (in three forms), thyme and lemon flavored cream, lime mousse and cacao shortbread. 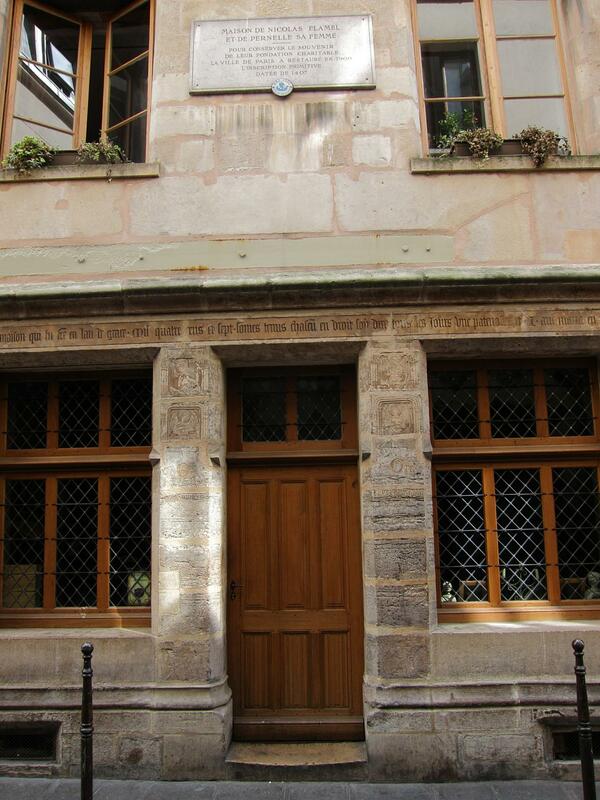 My gay friends will inevitably find themselves meeting for drinks at L’Open Café, on rue des Archives in the Marais. It’s a wide-open place, friendly in the afternoon and jammed in the evening. 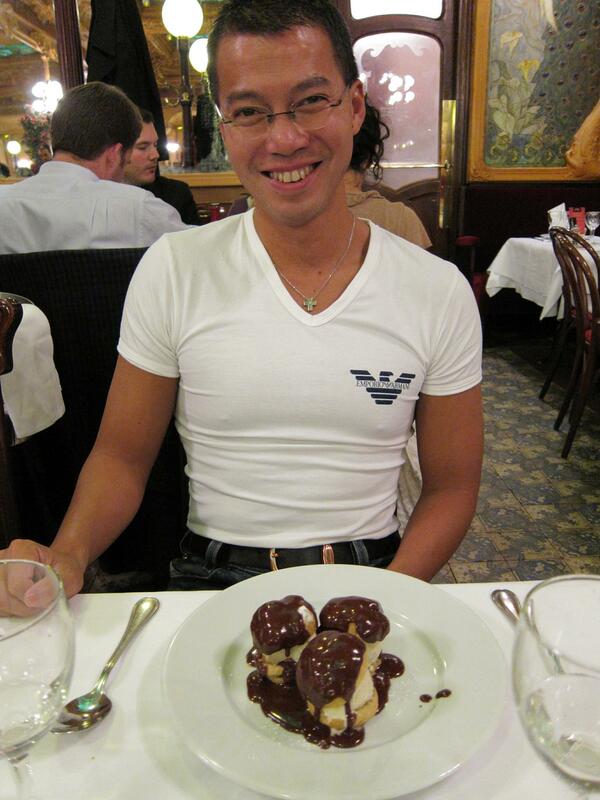 My favorite gay bar in Paris is Le Duplex (not to be confused with the straight club near Etoile of the same name). It’s a neighborhood place at which you can meet someone and actually have a conversation. The crowd is on the mature side but the fulll age range is represented. A trendy restaurant near Canal Saint-Martin is Chez Prune. They require you to eat a meal during dining hours though, and the servers have a serious case of attitude. The last time I went they were positively rude, though I was wearing my ridiculous floppy hat so I may have deserved at least some of their scorn. La Gare at La Muette (16ème) is quite classy. I just have coffee there because the rest of the menu is quite expensive. Yet another good place for a later afternoon drink is Café Beaubourg, a stylish bar overlooking the plaza in front of the Pompidou Center (of all places!). Later on in the evening if you want to hang with the cool kids — and don’t mind paying $15 for a cocktail — check out the Experimental Cocktail Club in the 2ème (or several other places). It’s actually friendly! Update 2013: I gather that on weekends they now have a rule that men must be accompanied by women. I would like to think that this is to keep out rowdy straight guys but it has the effect of keeping out gays. 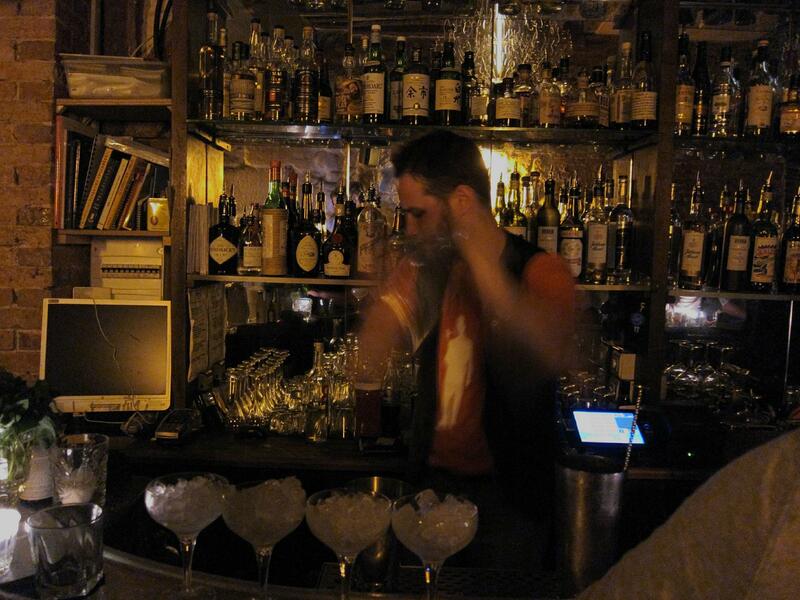 Alexis introduced me to a similar cocktail bar in 2014: Candeleria. You enter through a tiny, garishly-lit taco place, then go through a door at the back (like an old-time speakeasy) to a large, classy bar. The cocktails are dauntingly complex, and pricey at 12-14 euros. But the overall experience is special. Reservations are recommended, but when Jaime and I were turned away we were redirected to the Mary Celeste, a few blocks away, whcih is similar. Almost as cool, and much cheaper, is Avé Maria in the 11ème. Can be a bit of attitude here, tho. I ran across Abri at Paris by Mouth. Alexis and I almost walked by it because the space is a sandwich shop during the day. Worth a try sometime perhaps but the ambiance is fast food. Le Grand Véfour – At the Palais Royal. Expensive but worth it. Michelin three-star Epicure at the Hotel Le Bristol – Crazy expensive but one of the best restaurants in the world. Le Berbère – Moderate but very good. Le Temps en Temps – Also moderate but very good. Looks like I’ll have to come back to Paris! Sunday I set out across the Marais, with the idea of revisiting the Promenade plantée below Bastille. I noticed signs, however, for Nomades dans le Haut Marais, an annual art walk in the 3eme arrondisement. I got a map of participating locations and substituted art and exploration of the upper Marais as the day’s new plan. 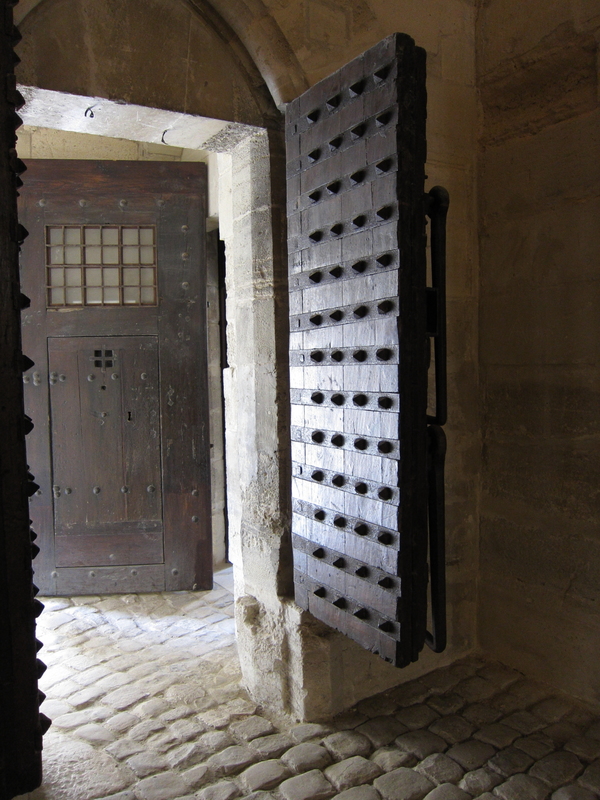 I was familiar with various parts of the district — the Arts et Métiers area, the Square du Temple, and the southeastern corner near the Musée Carnavalet — but I had not explored the upper Marais as thoroughly as I had the lower part. 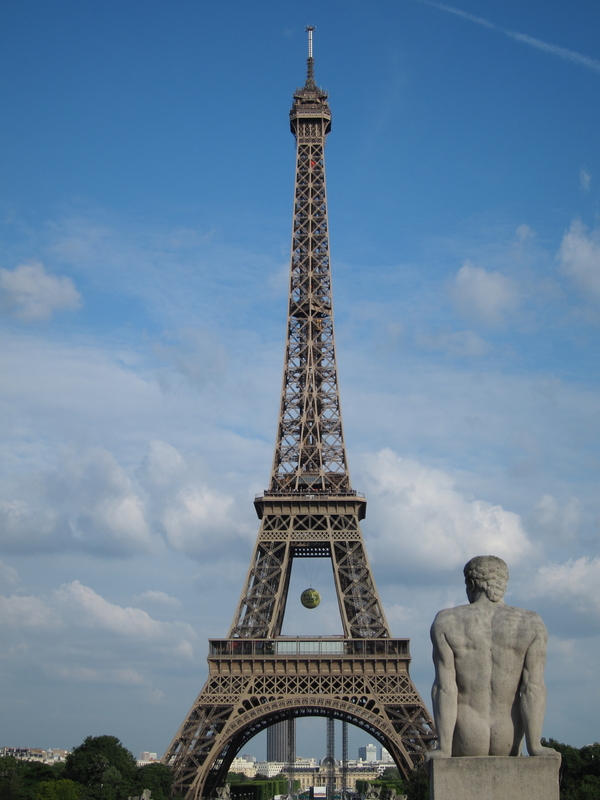 It was a pleasure to weave these spots together and confirm once again how walkable Paris is. Along with some interesting art galleries I stumbled across the oldest house in the city, the Nicholas Flamel house dating from 1407. Sunday evening I caught up with Jeff Redding after his world travels for his dinner and a shared bottle of wine. 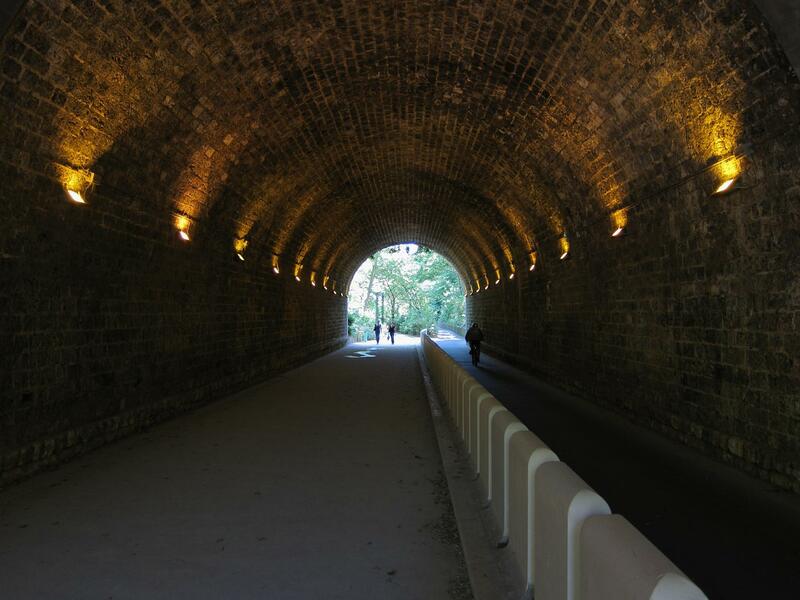 On Monday I set off again towards the Promenade plantée; this time I got there, and learned something new. The part I had walked several times last year was along the top of a disused railroad viaduct (with artisan’s stores and workshops in the arches). 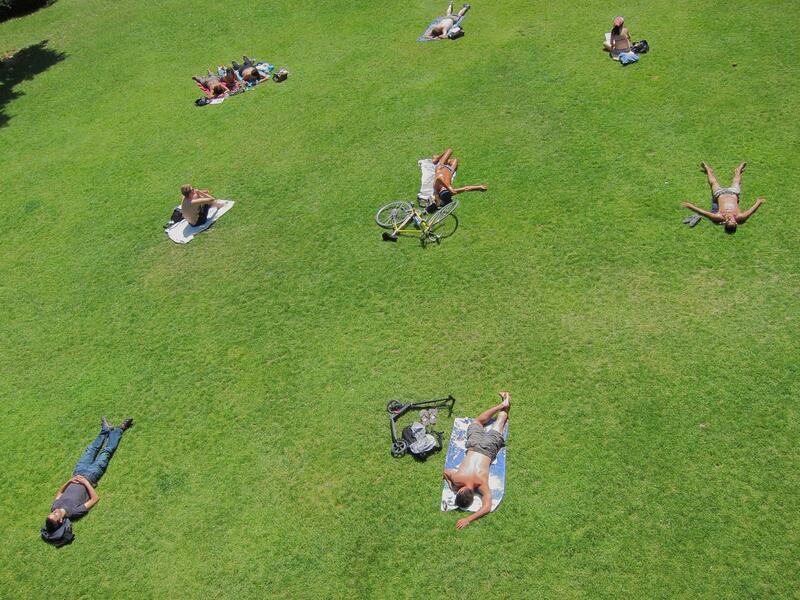 This section ends at the Parc de Reuilly, a mecca for sunbathers. What I hadn’t noticed last year was that another part of the Promenade picks up at the end of the Allée Vivaldi, a short walkway that ends in a courtyard surrounded by modern buildings. It was puzzling to know how to continue until I realized that this last section, instead of being on top of a viaduct, is below grade, in tunnels and shady valleys. A cold which I had been disregarding for several days caught up with me on Tuesday, which I spent babying myself at home. Fortunately I’m feeling much better this morning, though I still plan to take it easy until I’m fully recovered. Mot du jour: “ado.” Short for “adolescent,” i.e. “teen.” Colloquial French is showing a strong tendency towards truncating longer words. The members of the Académie Française must be tearing their hair out! Another perfect, warm day. I changed my flight home to a later time on March 31. The flight attendants are striking against British Airways during that period. My flight was marked uncertain but the later one was marked definite, so I decided to go with the better bet even though it gets me in a few hours later. 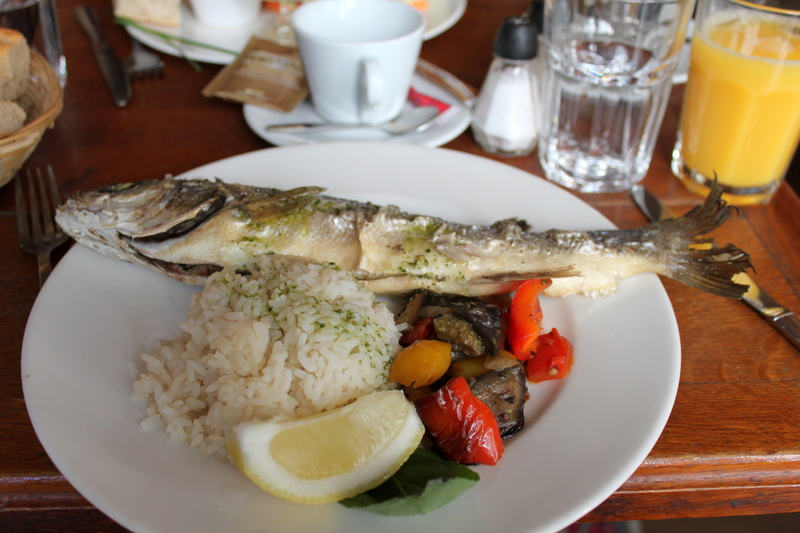 Lunch was with Taline, a friend from Boston, at Café de l’Industrie. Taline at Café de l'Industrie. Their brunch last week was so-so but I had a bass filet that was delicious. Filet de Bar at Café de l'Industrie. The service was spectacular — attentive, friendly, yet not intrusive — especially surprising since we made pests of ourselves by sitting alone near the window in the back room. 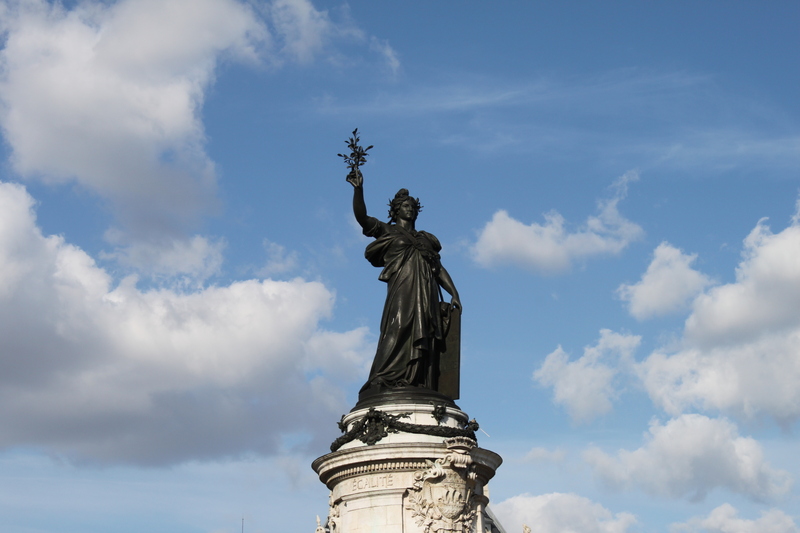 After that I walked around the Bastille area, which is growing on me more and more, then along the Promenade Plantée to Reuilly, then down to the Parc de Bercy which Cort and Julien had introduced me to yesterday. After a gelato I Métro-ed up to Canal Saint-Martin to meet Lisa at Chez Prune. We had a good catch-up, then met up for dinner at the Hotel du Nôrd with her partner Ali, and her mom and dad, Jackie and J.F. 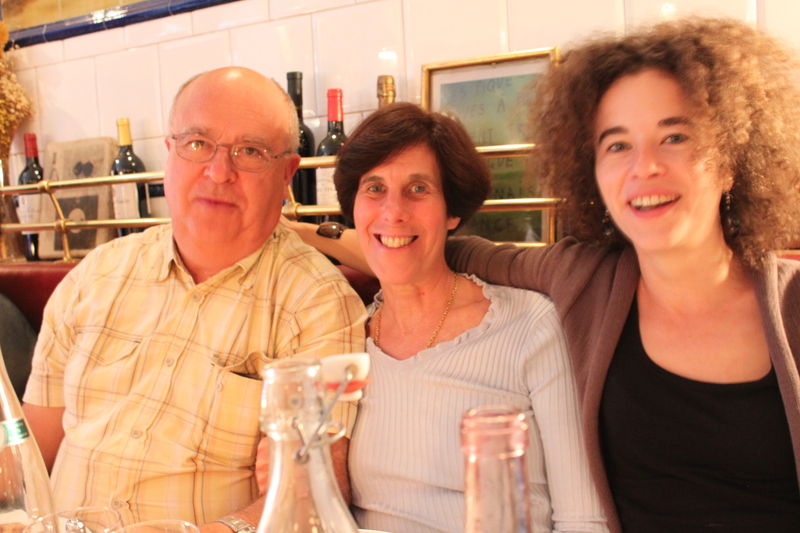 J.F., Jackie and Lisa at the Hôtel du Nord on the Canal Saint-Martin. 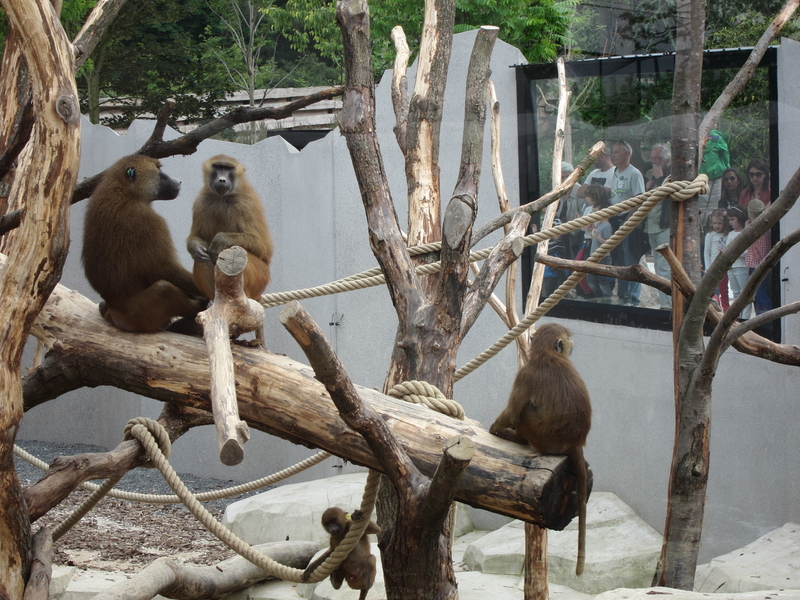 It was good to see them again, in the case of J.F. for the first time in some years. The scene along the Canal was very convivial, a happy apéro geant without even needing Facebook. 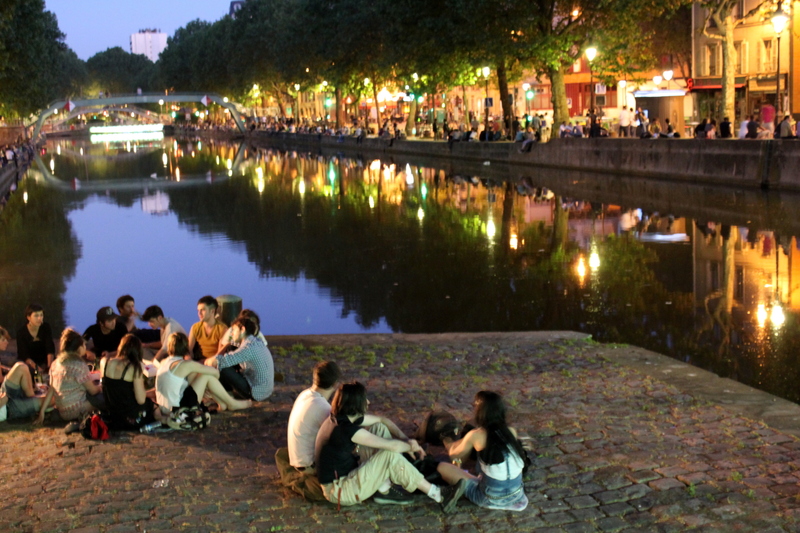 Canal Saint-Martin on a late spring evening. 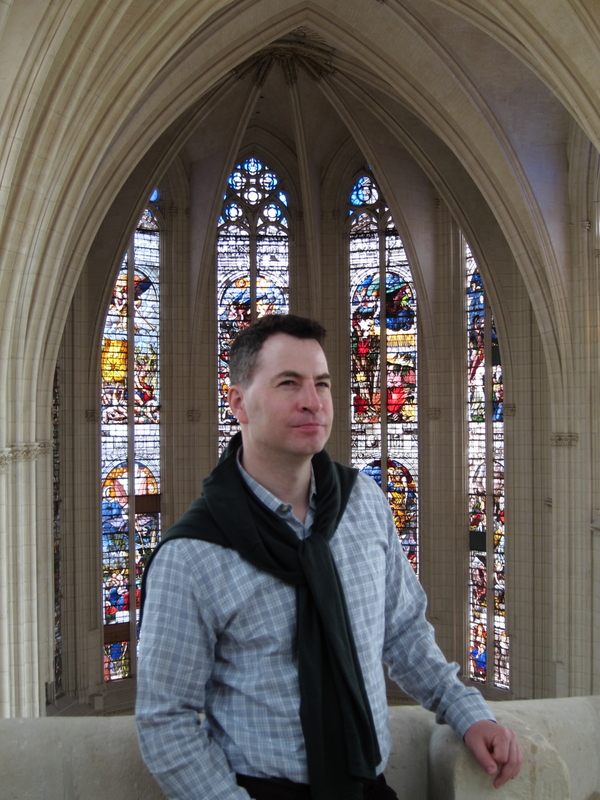 I strolled home through the Marais, enjoying the crowds spilling out onto the sidewalks from the many gay bars. This was the first truly lovely day in two weeks. Michael did a short run, then we went for a nostalgic and beautiful walk around the islands. After he got packed — and we copied each others photos — he headed for the airport and I headed to brunch with my Parisian friends Alexis, Julien and Colt, and my cousin Lisa. 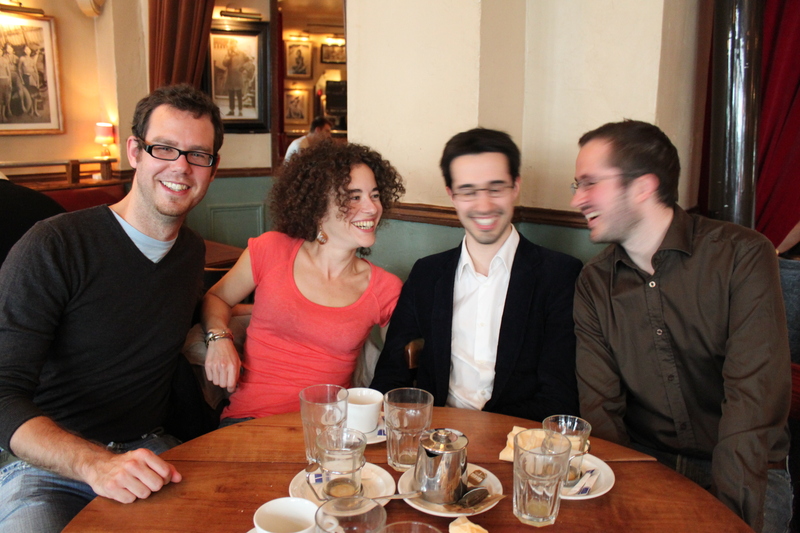 Alexis, Lisa, Julien and Colt after brunch at Café de l’Industrie, Bastille. 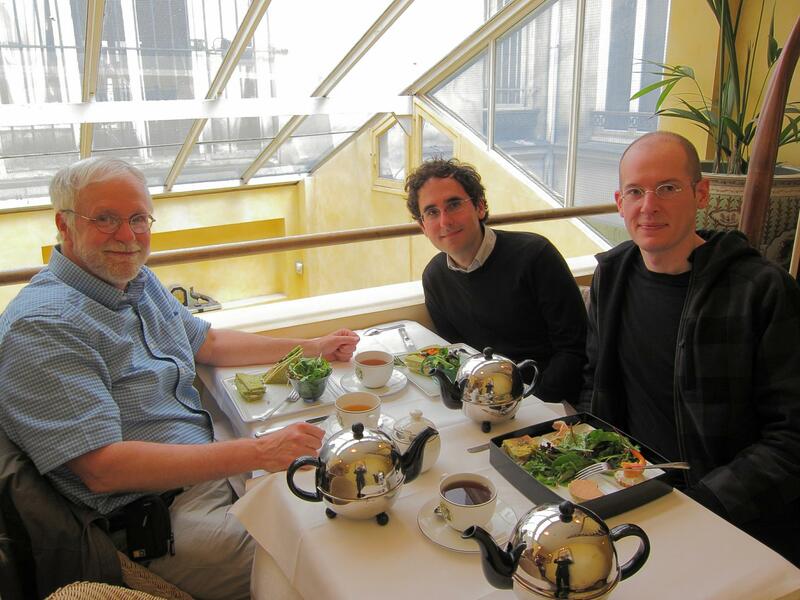 At Colt and Julien’s suggestion brunch was at Café de l’Industrie, near Place de la Bastille. After a most convivial meal we decided to take a stroll instead of immediately going our separate ways. We started off along Blvd. 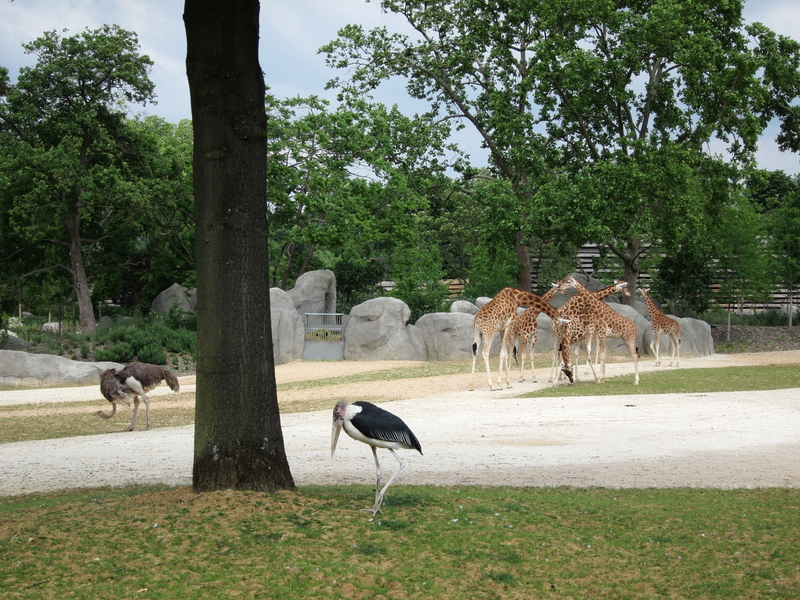 Richard Lenoir, through a park which runs above the covered portion of Canal Saint-Martin. 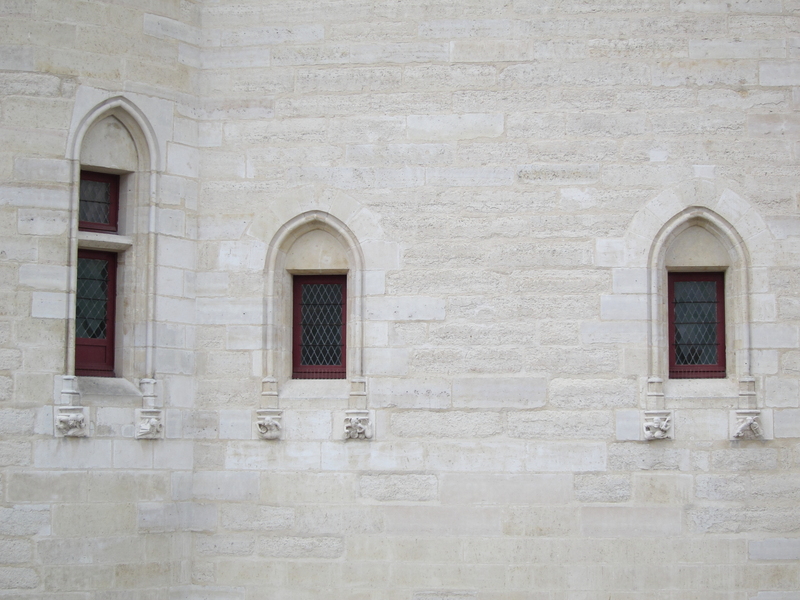 We took a side trip to see the lovely courtyard of Hôpital Saint-Louis, designed by the architect of the Place des Vosges. 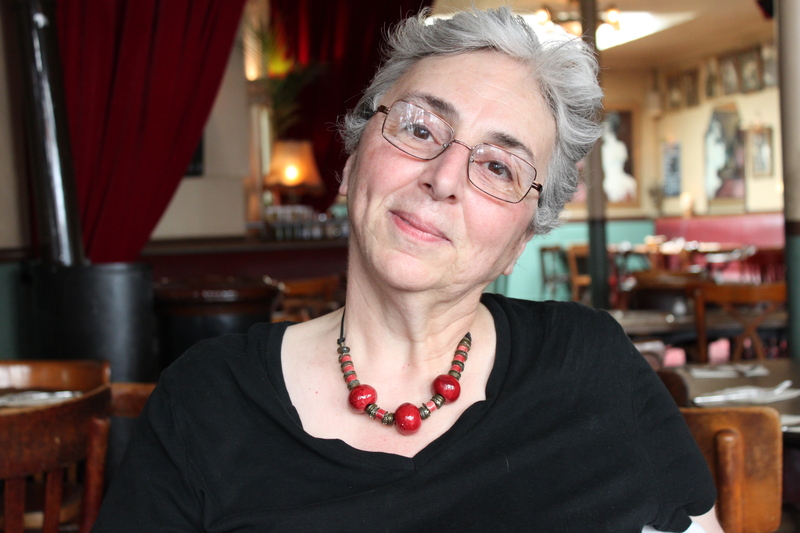 Then we had coffee and tea at Chez Prune, one of Lisa’s favorites. After telling our stories (and solving the world’s problems) we finally parted, after more than five hours together. I had a great time and I think we all did. I was pleasantly exhausted by my busy weekend so I sat stunned for a bit in the sunshine on the quai of the canal. 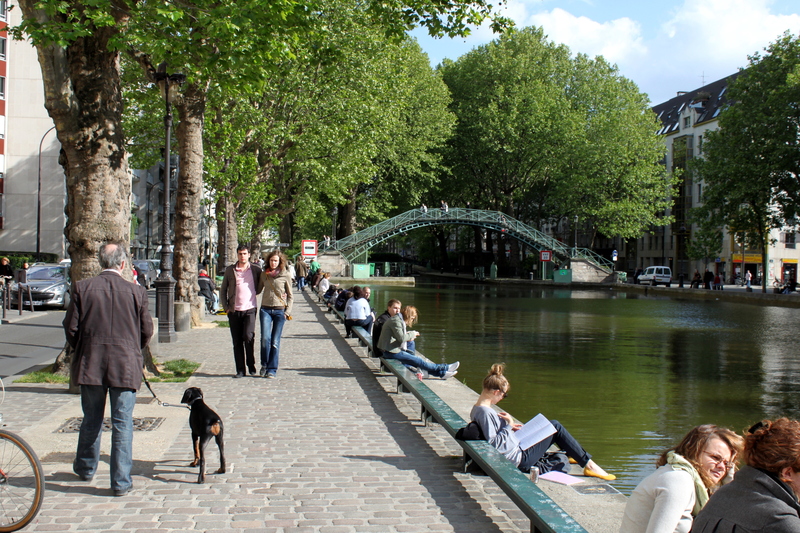 Canal Saint-Martin on a sunny Sunday afternoon. Then, true to my vocation, I set out to wander home, armed with my trusty camera. Paris-13 has the best shots from several days, including the first full day and evening of Michael’s visit, except the Louvre. Paris-14 has the second day of Michael’s visit, that evening with Dan and Ric, and brunch with Alexis, Lisa, Julien and Colt. Paris-Louvre has the best shots from Michael’s and my whirlwind tour of the Louvre, along with (at the end) some earlier Louvre photos. Addendum: I picked up the check at lunch, because I can, and because earlier in my stay I had been served wonderful home-cooked meals by Lisa (including Jason) and by Colt and Julien (including Jaime). On a whim I said to the waitress as I was paying, in fractured French, “I’m their uncle.” She replied, in English, “Lucky nephews.” Also — wouldn’t you agree? — lucky uncle! After my sophomore year in college I spent a summer in Chatham, Mass., where I got to know a crusty retired Episcopal priest. He knew something of human nature, since he had for many years presided over the church in Times Square, New York, then far grittier than today. It got back to me at one point that he had said something about me that I found terribly wounding at the time: “He’ll always be an uncle.” The wound is long healed. Bonus mot du jour: “apéro néant” (Le Monde). 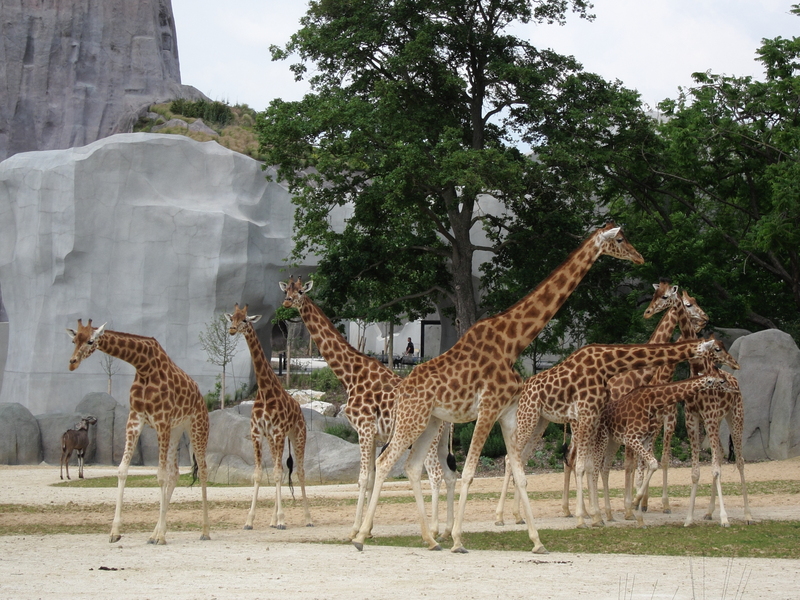 A supposed apéro géant announced on Facebook for Sunday, May 23, fizzled, and was dubbed an apéro néant. Le Monde reported that among the few hundred people present it was difficult to distinguish between “les habituels flâneurs” and those planning to attend the Facebook event.